As part of a major inspection and overhaul of 13 Gravita 10BB locomotives from the northrail fleet, Voith is upgrading the vehicles with state-of-the-art technology. A decisive factor in the award of the order was Voith’s comprehensive expertise. It is this proficiency that allows a lead time of just eight weeks per locomotive, which cuts downtimes for the operator. Voith will be carrying out the overhaul of 13 Gravita BB locomotives till the end of 2018. 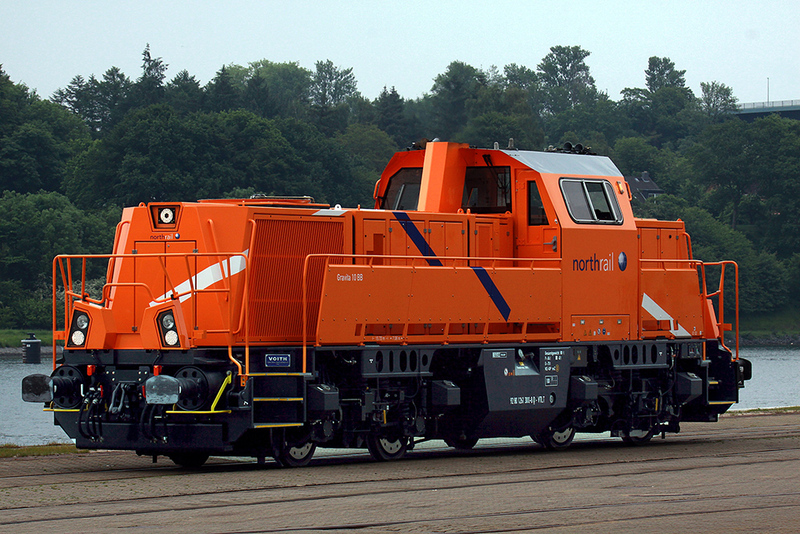 The vehicles belong to northrail, which specializes in the leasing of diesel and electric locomotives. The Gravita locomotives are being used at various locations in Germany and Scandinavia for heavy-duty shunting service and regional freight traffic. Depending on the kind of service they perform the vehicles will have spent between 12,000 and 28,000 hours in operation. Voith built the Gravita locomotives between 2008 and 2013. It therefore made sense for northrail to rely on the extensive expertise of the OEM for the scheduled general inspection and overhaul of its vehicles. Any other service provider would have had to familiarize themselves with the details of the design, which would have meant longer downtimes. In addition, Voith Service in Kiel has sufficient capacity to work on three of the locomotives at the same time. Following a mutually agreed schedule the rail vehicle rolls into workshops and leaves again after just eight weeks. “The short lead time was a major element of the contract and another reason for awarding the order to Voith,” stresses Dr. Volker Simmering, Managing Partner of northrail GmbH. This is because for northrail, a subsidiary of the Hamburg-based Paribus Group, every shutdown means a loss of leasing income. The first Gravita 10BBs have already been overhauled and delivered to a highly satisfied customer. The scope of the order also includes the integration of state-of-the-art technical components that improve the ease of operation of the Gravita 10BB at various levels. For example they help to further improve the reliability of the vehicles and therefore increase their availability. The precise scope of works depends on the condition of the individual locomotives as evaluated by both parties. Depending on the level of wear Voith is also replacing the wheels of the locomotives. Voith Turbo, a Group Division of Voith GmbH, is a specialist in intelligent drive solutions and systems and pioneering services. Customers from a diverse range of industries such as oil and gas, energy, mining and mechanical engineering, ship technology, rail and commercial vehicles rely on cutting-edge technology from Voith Turbo.